In my twenties I began the process of trying to uncover what happened before I was adopted and to get essential information about family genetics. I went to vital records and was told that yes, indeed, they had my original birth certificate, but no, I could not have it. Freedom? Where was my freedom to know what most non-adopted people know from the beginning — their heritage, their backstory, their medical information? I could not fathom the fact that I was denied information that was mine. How could not having what was inherently mine be legal? Click here to read her entire blog post: Thinking About Independence, and Freedom to Explore My Identity, on the 4th of July. In defense of my friend, Carol Schaefer, who wrote this article today on Huffington Post: “The Right to Love: Two Social Movements Converge on One Family”, I wrote the following Letter to the New York Times. To deny Jack Ryan’s mother , Carol Schaefer, who gave birth to her son in 1966, the joy, respect and dignity of being named as his mother alongside of the parents who raised him is to, again, slap her with the stigma of being “an unwed mother” the way she was so many decades ago. New York Times: Your high society newspaper has chosen not to publish the names of the two people “who did the dirty” and who “had” to give up the baby to avoid being disgraced for life. Your staff has just reinforced those old stereotypes. The shame now is on the editor and publisher and all the staff of the New York Times for disrespecting Jack Ryan’s mother and his father – the very two people who gave him life. Yet, come Mother’s Day, you will publish sentimental words honoring “all” mothers. It appears that only legal mothers are honored by your paper. You have robbed Carol Schaefer of a once-in-a-lifetime event — of being named in your extremely-prestigious newspaper for the honor that belongs to her. Just because The New York Times is decades behind the times, does not mean we all are. How do adoptees feel about Shel Silverstein’s book “The Giving Tree”? Ahhh… another review about the book The Giving Tree by Shel Silverstein. The author of this article mentions, among other things, the fascination of orphan-hood to children who aren’t orphans. As adoptees, we don’t know our conception and birth truths. We grow up not knowing. For me, I hated stories and movies of orphans because I grew up knowing that my mother died and that’s how I became adopted by two people who became my parents. The horrible truth actually happened to me. Other kids could hide in their fantasies, relieved that they aren’t orphans after all. But not me. I never read The Giving Tree until recently. I do not like this book. I look at it from an adult’s perspective. And from an educated adoptee’s perspective. A tree (mother) who gave everything. An unselfish mother or a mother who lacks confidence to say no? Would a male tree do the same? Would a little girl growing up do the same? As adoptees, what does this say about our adoptions? 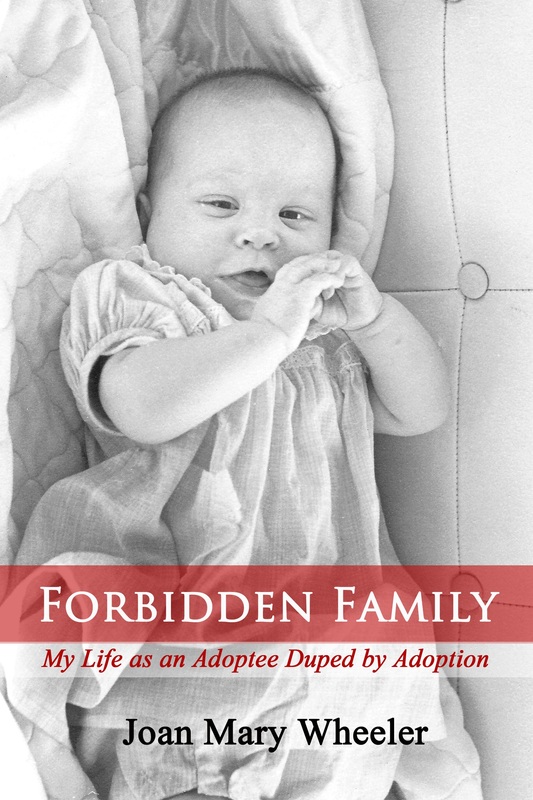 As adoptees, do we see this book differently? What do mothers of children lost to adoption think of The Giving Tree? In retrospect, yes, I suppose The Giving Tree does teach a child appreciation and awareness. That is what my daughter said she felt about this book when she was a child. She read it at summer camp.